My goal is to deliver the finest care possible to all of my patients, whom I treat as if they were members of my family. As their advocate, I am able to help them navigate through the complexities of today's healthcare system and address everything from general primary care needs to stress, respiratory health, diabetes prevention and nutrition. Being an MDVIP-affiliated physician has given me the time to get to know my patients beyond their symptoms in order to easily identify risk factors and make early diagnoses. I also have the time to personally communicate with specialists and explain complex medical issues in terms that can be understood. By adding a personalized approach, similar to concierge medicine, I am able to develop close relationships with my patients, which can result in lifestyles of wellness and greater happiness. I am affiliated with St. Mary Medical Center in Langhorne, Pennsylvania and follow my patients from home to hospital. My practice serves Bucks County, Pennsylvania; Mercer County, New Jersey; Princeton, New Jersey and the suburbs of Philadelphia. He and the staff were my lifeline. She is patient and polite at all times. Sue Tertel at Dr Goldstein's office is always so helpful with prescription issues concerning approvals and availability. She has been exceptionally effective transferring records of treatments, lab work and medical reports to other physicians. She is patient and polite at all times. He has helped me with all of my health issues and I hope he will continue to be in practice for many years to come. He is always responsive to my needs. I appreciate the fact that that I am always able to get in touch with my doctor when I need one. He is always responsive to my needs. I was beyond impressed with my first experience with Dr. Goldstein with how helpful and kind he was and how fast he was at getting back to me! My prior experiences with a lot of doctors has been how they dont realize how important it is to have the type of effective communication that Dr. Goldstein provides; to me this is crucial! Dr. Goldstein has literally saved my life on severaal occasions. HE IS AWESOME; THE BEST DOCTOR . GREAT DIAGNOSTICIAN. HAS LITERALLY SAVED MY LIFE. HE ALSO HAS THE BEST STAFF. I WOULD HIGHLY RECOMMEND HIM. He answered my questions and offered multiple alternatives to treatment. 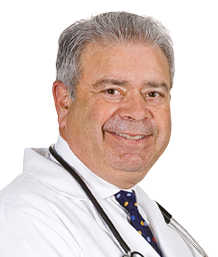 Dr Goldstein is always professional, informed, and available. His concern for his patients is second to none! Thank you Dr. Goldstein for being in my life!!! Dr. Goldstein is a very compassionate, caring person who not only saved my life years ago but has become an important person in my life!! I came to Dr. Goldstein after some very serious surgery issues based on recommendations from my friends who have gone to Dr. Goldstein many years.